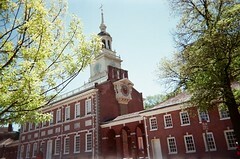 PHILADELPHIA is where this crazy nation known as America got its start. Let us not forget that the country was founded by rebels. This was the spot where freedom was birthed. I can begin this narrative, this kaleidoscope of a city, nowhere else.